Respect your Elders. 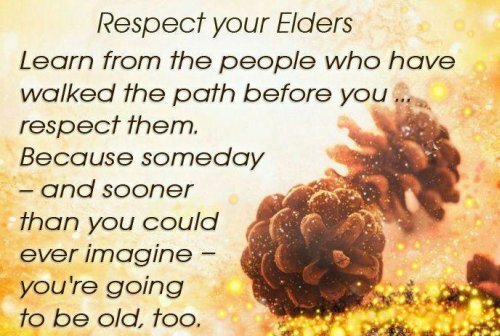 Learn from the people who have walked the path before you… respect them. Because someday- and sooner than you could ever imagine- you’re going to be old, too.